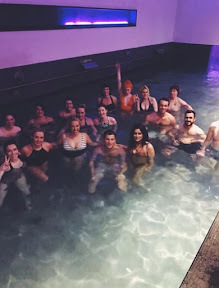 THE last time I was invited at night to go to the Spa at Blythswood Square Hotel was with P Diddy. WHAT? I hear you say. Are you mad? Possibly. But at the time it seemed the sensible thing to do. The offer came seven years ago after the rapper's MTV performance at Glasgow's Fruitmarket and an after party at the city's Corinthian Club where I'd been hanging with some of the Diddyman's gang. I'd interviewed P Diddy himself earlier on so it was party time. My pal had also been invited by one of the other crew members. We bravely said we would go if we could stick together, in the same car, until we found out the conditions. Firstly we were told we had to travel separately, and then more importantly - - there was a rule of no phones and no swimming costumes!!! After prudishly/ sensibly/ boringly imagining all kinds of scenarios, we ended up going for chips and cheese in town instead. Seven years on, I decided to accept another nighttime invitation to the venue - where this time phones and cossies were actively encouraged for a SPArty. The hotel now offers groups of twenty people or more the chance to host their own parties there. 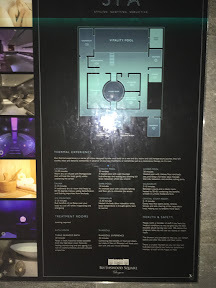 As well as lounging around beforehand for a drink you can check out the spa's thermal 'journey' starting in the laconium room, for a gentle heat. There's a hotter sauna room and cleansing steam room as well as the heated pool complete with water jets and waves. A jacuzzi and tepidarium with heated stone beds mean you are chilled out by the time you've finished. 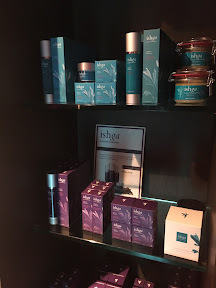 The whole experience was topped off with some shopping for the latest Ishga Scottish Seaweed Skincare products - I chose the soothing and silky blissful smelling body lotion which just sank into my skin. Spa manager Leon Trayling who hosted Diddy and his friends said: "Our ‘SPArty’ package means people can chill and enjoy the wellness benefits of the spa with friends." SPArties at the Blythswood Square spa start from £40 per person including a glass of bubbly on arrival and exclusive use of the spa from 9pm, for a minimum of 20 people. Contact 0141 240 1622 or spa@blythswood.com for more details.